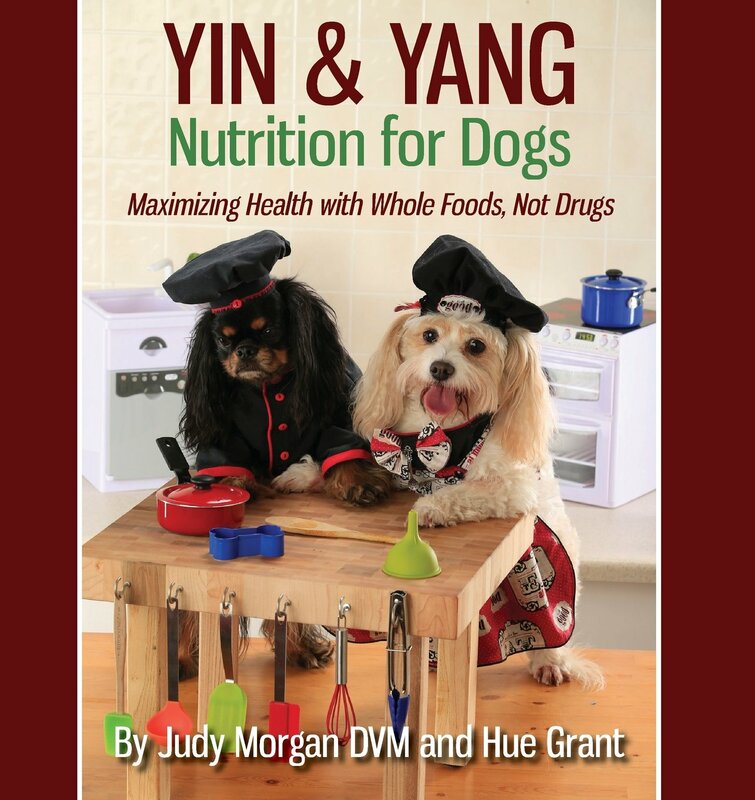 "Yin & Yang Nutrition for Dogs"
Yin & Yang Nutrition for Dogs: Maximizing Health With Whole Foods, Not Drugsis the ultimate health and wellness guide every dog owner needs to have. This book details the importance of pet nutrition, and shows how to use food therapy to keep your dog naturally healthy. Author and holistic veterinarian, Dr. Judy Morgan has a passion for healing her patients with whole foods, minimizing medications and chemicals, allowing the body to heal from within. In this book she offers a variety of different menus options and easy-to-follow recipes that can be customized for your dog's specific health issues and even their personality type! While many pet owners like the idea of feeding their dogs a natural, whole foods diet, the logistics and cost of doing so can be overwhelming. This book is an easy-to-use and fun resource that proves cooking for your pet doesn't have to be costly or time consuming.Why should you prepare food for your pets? It’s simple. The pet food industry has let you down. Today it is widely known and accepted that diet and nutrition is linked to good health for humans but the vet industry has yet to catch up. Since the advent of processed food for pets, the pandemic of degenerative health problems has escalated in dogs and cats. People have depended on the pet food industry to provide wholesome nutrition to keep their pets healthy. Pet food labels often include words likeholistic, natural, andhuman grade; but in reality, ingredients are often waste products from the human food industry or rendered meals from diseased animal carcasses. The pet food industry has spent millions of advertising and teaching dollars to convince veterinarians and the pet-owning public that the only way to provide a complete diet is to feed processed industrial food....but the truth is, processed foods are just as bad for pets as they are for humans. "If your dog is eating a prescription diet recommended by your veterinarian you are most likely paying a lot for a product that is not optimal for your pet,"says Judy Morgan, DVM, who operates two veterinary hospitals in New Jersey that offer an integrative approach to pet care combining holistic medicine with traditional western techniques.In this book, Dr. Morgan offers tips and interesting information on animal health and wellness that is useful for any pet owner. Dr. Morgan shows pet owners how to determine the right ingredients and quantities based on their pets’ health, condition, and behavior. The language is understandable without being over simplified and the book includes a wealth of photographs making the recipes easy-to-follow. "Yin & Yang Nutrition for Dogs is a dog nutrition Bible for anyone who wants to keep their dog in peak condition. While there are a number of websites dedicated to whole and raw food canine diets, this is the most detailed and information-rich resource I’ve encountered." 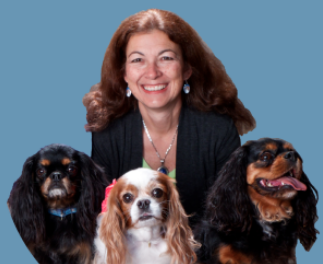 Dr. Judy Morgan is a nationally renowned author, speaker, and holistic veterinarian best known forhealing her patients with whole foods, minimizing medications and chemicals, allowing the body to heal from within.Dr. Morganhas received critical acclaim in the veterinary industry for integrating Eastern and Western medicine in her two award-winning veterinary practices in New Jersey.She is the author of three books on holistic pet care including the recently released titleYin & Yang, a holistic cookbook for dogs. An active speaker and blogger, Morgan's social media sites reach millions of pet owners worldwide. Dr, Morgan is Chief Veterinary Medical Officer for Monkey's House Senior Dog Hospice and works with rescue groups for homeless dogs.